I am so glad to find a forum dedicated to the 71-73 mustangs, my Bride and I's favorite mustang body style. When we dated back in High School I had a 71 351c 4 barrel Red mach 1, man i loved that car! But marriage and a child happened and i ended up selling the car a decision I regret. 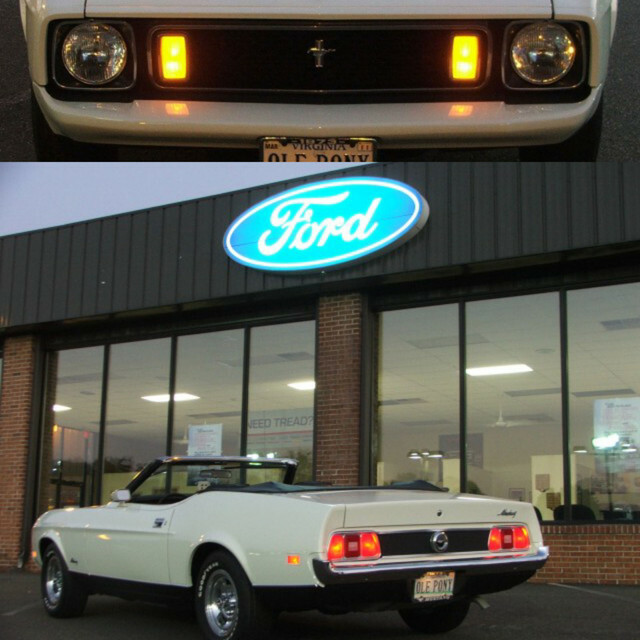 We now live in North Alabama (RTR) our Daughter is married and we are looking for a 71-72 Mach 1.
from Ontario Canada....Hope you find the car you're looking for! and there has been a few on here for sale. A few in Bama. Good lock with your search for your next Mach 1. Welcome Tim! There are plenty of cars out there just waiting to be restored! I used Search Tempest to help locate mine. Welcome to the forums! Glad to have you aboard! I hope you find the perfect car and be sure to Keep us posted! Welcome from North Carolina. Your going to like it here. Great bunch of Mustang knowledge. Welcome to the site. Good luck with your search. To me the interesting ones are always far away, so it may be hard for you to find what your looking for locally. I would recommend seeing it in person or having someone check it out for you before buying one online. As tnfastbk noted and/or inferred, periodically Members have posted up different ads they have come across where someone was selling a '71 - '73 Mustang. Believe me, the cars are "out there." In the meantime, please continue to post up on the different Forums as your interests dictate.